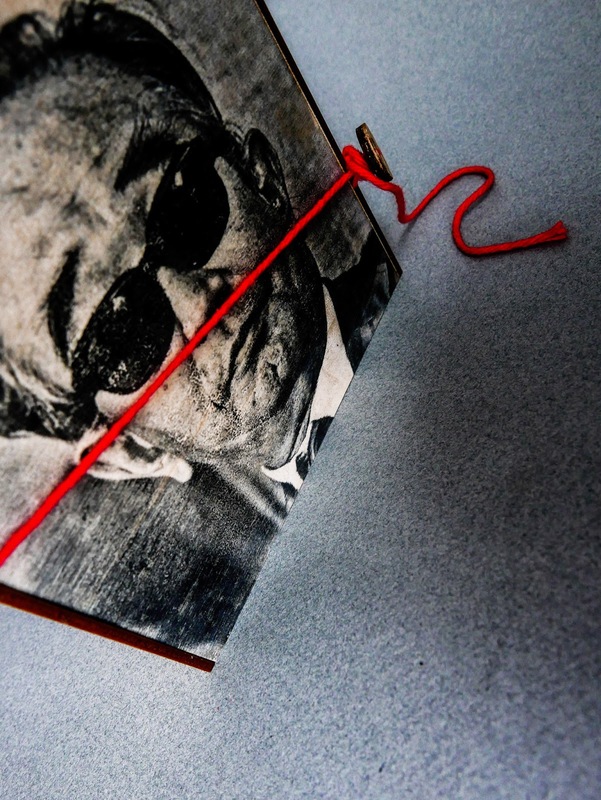 Cast into Chaos—a celebration of the films of Akira Kurosawa. The most celebrated Japanese filmmaker of all time, Akira Kurosawa had a career that spanned from the Second World War to the early nineties and that stands as a monument of art, entertainment, and personal achievement. The protagonists in these films are not extraordinary, rather they are average, common people cast in a storm of shifting realities. Themes of humanism, Japanese moral values, spirituality, masculine ideals, and irony are consistently recurring motifs in these films. 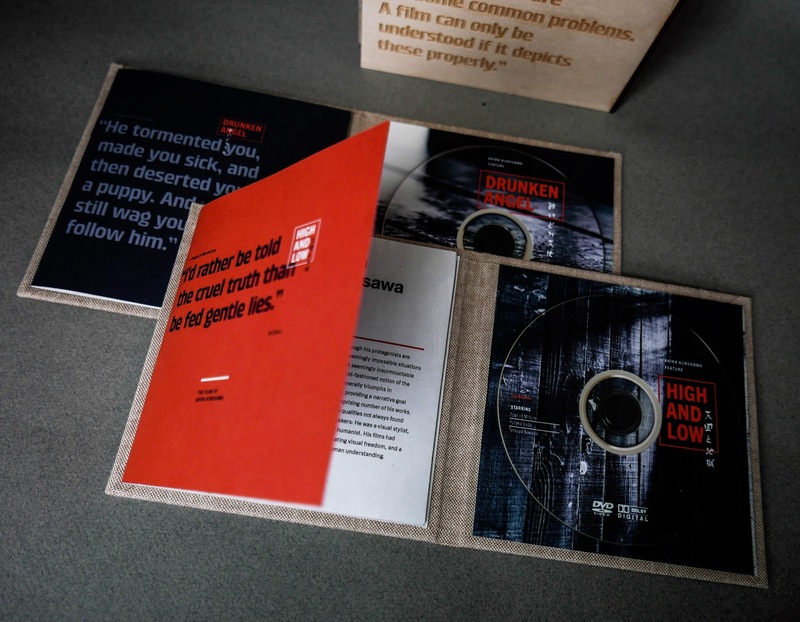 This project attempts to incorporate the artistic expression of Akira Kurosawa and his five chosen films (Drunken Angel, The Bad Sleep Well, Stray Dog, Ikiru and High & Low) through a consistent visual language and design deliverables that work together as an integrated system. A set of 5 DVDs of the films featured in the festival. Since it is a limited edition I chose to make it look exclusive and handcrafted. 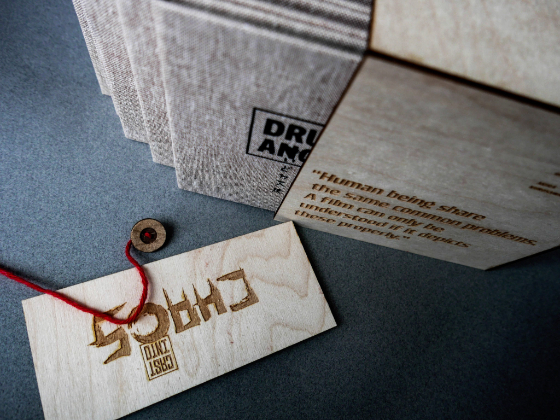 I used Balsa wood for the case/box with laser engraving and book cloth to bind the DVD cases. 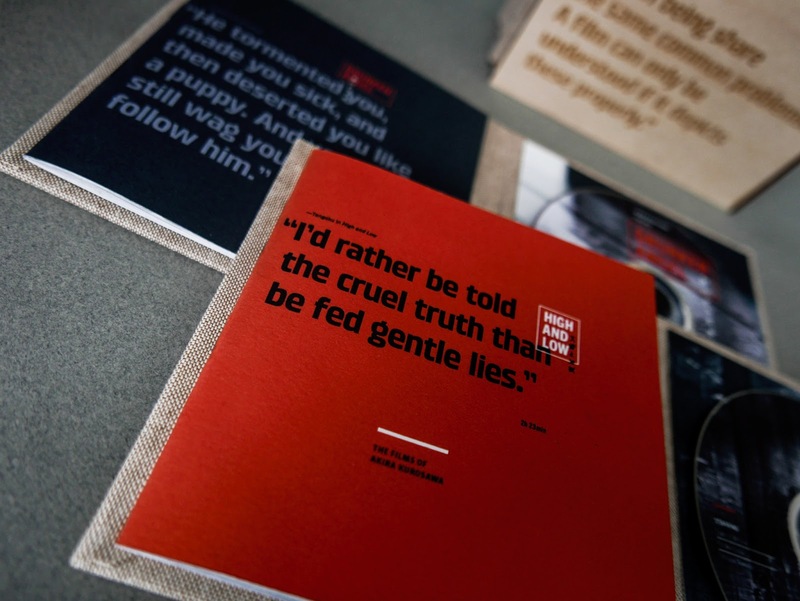 Each case consists of a booklet with information related to the film. This is a collector's item specially designed for this festival based on a thread. It is 100% handcrafted using wood, book cloth and other organic materials inspired by Japanese aesthetic and lifestyle.